The word education is a noun. Education means (1) the profession of teaching (especially at a school or college or university), (2) the activities of educating or instructing or teaching; activities that impart knowledge or skill, (3) the result of good upbringing (especially knowledge of correct social behavior), (4) the gradual process of acquiring knowledge, (5) knowledge acquired by learning and instruction. The following articles and web pages elaborate on the word education. Use this helpful education directory to locate aviation schools, Christian schools, diving schools, libraries, and other related educational links in all fifty states. This education guide comprises hundreds of carefully selected and categorized web pages about various education-related topics. SunGard Higher Education provides software, strategic consulting, and technology management services to colleges and universities. The mission is to create the unified digital campus, and SunGard is used at more than 1600 institutions. The website contains a place to locate a problem and then presents the solutions available. These range from Recruiting and Admissions to IT Services, and more. The IES' mission is to provide rigorous and relevant evidence on which to ground education practice and policy and share this information broadly. By identifying what works, what doesn't, and why, the Institute aims to improve educational outcomes for all students, particularly those at risk of failure. The IES is the research arm of the U.S. Department of Education. Well-qualified teachers are in great demand for both elementary and secondary schools. Learn about the educational requirements to become a teacher. 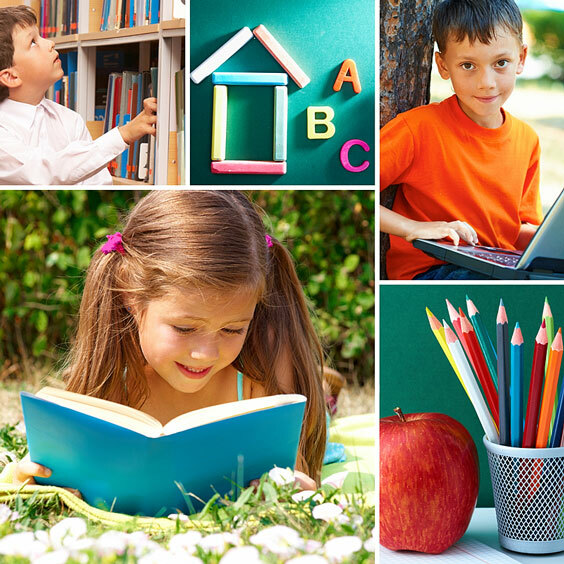 This directory, published by the United States Department of Education, is intended to help visitors identify and contact organizations that provide information and assistance on a broad spectrum of education-related topics. Georgia Tech, located in Atlanta, was founded in 1885. In 1961, it was the first university in the Deep South to admit African-American students without a court order. Today there are more than 16,000 students enrolled in a focused, technologically-based education. The school has separate schools in Computing, Architecture, Engineering, Management, Arts & Sciences, and Science. UNI, founded in 1876, is a state-supported school with approximately 14,000 students located in the Cedar Falls. There are 829 faculty. UNI has been listed as one of the best Midwestern colleges by the Princeton Review. There are a number of Master's programs and two doctoral programs: Education and Industrial Technology. The IT degree is unique to UNI. Students can apply to UNI online. The following articles provide recent education-related news. Science Daily. Friday, 19 Apr 2019 16:55:25 EDT. ABC News. Thursday, 18 Apr 2019 16:54:42 -0400. CNBC. Thursday, 18 Apr 2019 10:00 GMT. Japan Times. Thursday, 18 Apr 2019 18:52:46 +0900. Classmates Muhammad Aaron Irwan and Leroy Lim are always together in school. Leroy, 13, helps to bring Aaron his food during recess and assists him with his school work when he is unable to catch up. Zacks Equity Research. Zacks. Wednesday, 17 Apr 2019 12:46:00 GMT. The following pages provide more extensive education news. Recent news stories about the topic education, aggregated from diverse, English-language news sources. Recent English-language tweets that include the hashtag education. The following digital image illustrates the word education.